This blog is going to be just news articles (mostly about Jessie but not all of them will be). Searchers found no trace of missing Kamloops woman Jessie Foster in the Nevada desert last week. Now her mother's hopes are pinned on the TV show America's Most Wanted. 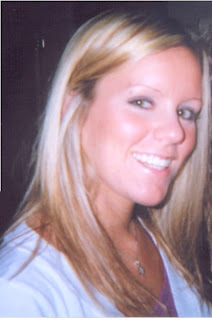 Jessie, then 21, disappeared in 2006 while living in Las Vegas. Her mother, Glendene Grant, has searched for her ever since. "I am so excited, because we have been trying since Jessie first went missing to get her case on America's Most Wanted," said Grant, who has launched a website and worked with missing persons' groups all over North America. Grant said news of the high-profile TV show's interest in her daughter was a boost after the Nov. 1 desert search failed. Grant found out only after she disappeared that Jessie was involved in prostitution, that she had been arrested for soliciting and beaten more than once. None of Jessie's bank accounts have been touched since March but Grant fears that her daughter is working for a human trafficking ring in Las Vegas, regarded by police as a centre for prostitution and trafficking in young North American girls. Grant also found out after Jessie's disappearance that she had been twice taken as a teen to the U.S. by an Edmonton man and his brother, who was convicted in connection with a case of human trafficking. "My goal is to find Jessie, make everyone aware of her case and help the families of other missing persons," said Grant.